Do you want to earn your most fruitful yield yet? If you are looking to increase your production, this list of 22 gardening tips will help you achieve your gardening goals! Picture this: you’re standing in your garden with a yield full of beautiful, tasty, organically grown crops. This doesn’t have to be just a daydream. 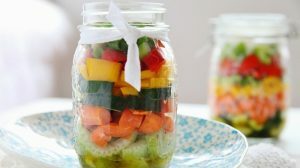 To help your garden achieve its full potential, you can try many creative growing and preserving techniques. Read on to earn your most fruitful yield yet. The ideal approach to keep top-quality, naturally grown crops on your table year-round is to plant as much as you can, and save plenty to eat for when your garden is not producing. This is a great objective, as homegrown, organic produce is more nutritious, tasty and sustainable than the common locally acquired goods. The key to productive gardening is taking the time now to learn techniques that will work for your garden. So invest in learning what will work for your garden, and enjoy maximizing your yield! Planting at the perfect time for your garden provides great advantages for growing the best vegetables each season. Let mother nature work for you! Click here to read more. It makes a huge difference if you know your gardening zone, as it affects the success and failure of your garden. Find out your gardening zone here. Garden Seed Calculator is a great tool that you can use to help you plan your gardening with ease and convenience. Get it here and learn how to use it. It is important to test your garden soil to find out what’s needed to improve it. Click here to learn how to do soil testing without the use of special equipment. Composting is a method of recycling almost any organic waste. It diminishes a big part of organic materials, balances out their more unstable and soluble nutrients, and accelerates the formation of soil humus. Learn how to do composting here. One way to keep your soil covered is to use an organic mulch. Mulch retains soil moisture and protects against extreme temperature, so plants with mulch produce higher yields than plants grown without. Click here to read more about the benefits of mulch. The quickest way to get that deep layer of fertile soil is to make raised beds. Raised beds yield up to four times more than the same amount of space planted in rows. This method helps protect soil structure and allows you to plant as closely as possible. Close planting benefits both soil life and plants through conserving moisture and controlling extreme temperatures. Learn how to make raised garden beds here. Organic fertilizers are safer and more beneficial than chemical based fertilizers. Especially if you are to use animal manure since that provides all the nutrients necessary for your plant’s growth and it helps improve soil structure, texture and fertility. Learn how to make an organic fertilizer here. Worm farming naturally improves soil condition and it is preferred by many seasoned gardeners. Click here to read more. Want a happier and healthier garden, but having a hard time due to clay soil? Well, you can actually amend it. Learn how here. It is essential for your plant’s growth to have enough space to gather nutrients and to maximize what space you have. An easy way to do this is to space seeds by using seed tape. Click here to read more. Who’s says you can’t have a fruitful yield due to a lack of space? Try vertical gardening to maximize your space and have enough room for all your crops. Click here to get started with vertical gardening. If you are situated in a place that has cool wet seasons followed by warm dry seasons, dry farming is a perfect crop production technique for you. Click here to learn more. Weeds are not welcome in an efficient, high yield producing garden! So, get rid of weeds the natural way. Click here to learn how. A proper balance of water is essential in growing plants. If you do not give your plants enough water, nutrients cannot travel through the plant. If your over-water, you will rot the roots and the plant won’t be able to get enough oxygen from the soil. Click here to read more. A greenhouse provides you with a controlled and protected environment that allows you to grow your crops consistently. So it helps your crops survive long droughts and cold winters. Click here to read more. Knowing how to grow a crop plays an important role in reaching your garden’s full potential. Check out some crops below and learn how to grow them. Are your plant’s leaves turning yellow? That’s definitely a sign that there is something wrong with your plant and that will affect your yield. Click here to read more. Can you identify which insect benefits you garden? Click here to identify which is insects benefit your garden and get rid of the ones that destroy your plants. This is another loathsome pest that can definitely ruin your garden and your yield! It is a must to get rid of aphids. Click here read more. Click here for the easy recipes of natural organic pesticides. It is important to apply good harvesting techniques in order maximize yield, and minimize crop damage and quality deterioration. So, knowing how and when to harvest your crops is a must. Click the crops below and learn how to harvest them. DO you feel prepared to earn your most fruitful yield yet? Let us know in the comments below.